* Cup vane anemometer, available for wind speed measurement, high reliability. 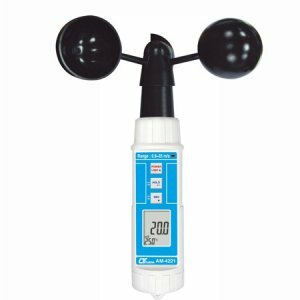 * Wind speed unit : m/s, km/h, ft/min, knot, mile/h. * ℃, ℉ temperature measurement. * LCD display, IP 65 water resistance. * Data hold and 100 point data logger with recall.